Guest Post Series: Faces of Spring, Melanie from "mel et fel"
Hello! My name is Melanie and I’m writing on the blog www.mel-et-fel.com since four years. 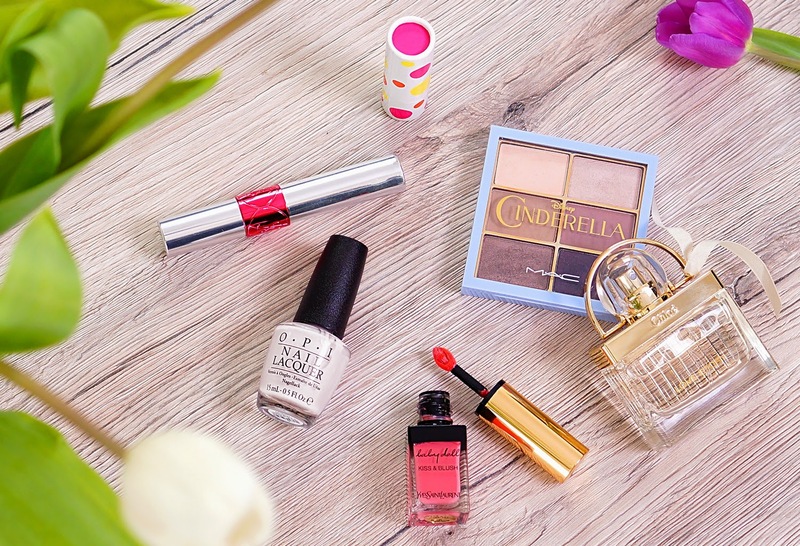 The main topics on my blog are high end cosmetics, skin care and perfumes. I’m totally addicted to lipsticks and can’t resist corals, pinks and mauves. Sometimes I love to create creative looks with lots of colors, glitter and fake lashes. But today it will be more softly: I want to present my current favorites for spring. When I started my blog some years ago some of my first shown products were from MAC and the label accompanied me until today, but this spring MAC accomplished to create an eyeshadow palette with five permanent eyeshadows that I didn`t own so far. I love the Stroke at Midnight palette from the Cinderella collection, especially Vapour and Omega. Vapour is the perfect shade to blend eyeshadows out or to lighten up the eyelid. Omega works well as contouring shade and eyebrow powder for me. The other shades are nice, also the hyped Satin Taupe, but these two shades, so unremarkable they are, are definitely my favorites and my constant companions. I love light, slightly sheer shades for my nails, especially in the spring. No surprise I like the new Soft Shades collection by OPI. 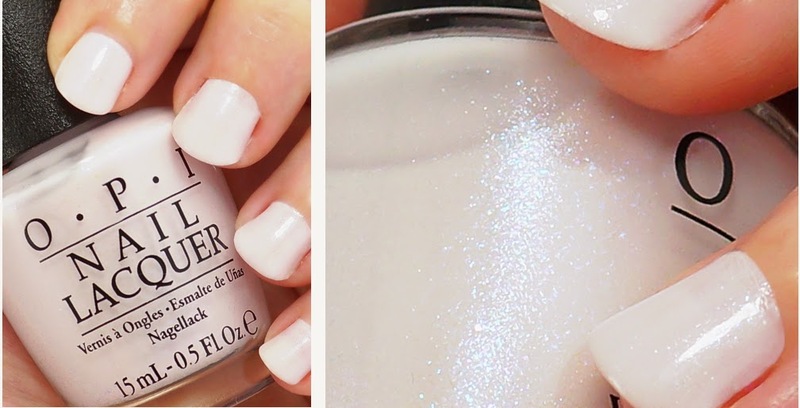 My favorite is Chiffon my Mind, a sheer white with a tiny little hint of pink and fine, blue glitter. On the photo I wear three coats. On my nails, the glitter is nearly invisible but it’s there and it’s so beautiful! Maybe it looks just like another white but I compare the shade with Eastern Light by Chanel, a true white, and Chiffon my Mind seems so much softer. I love it! 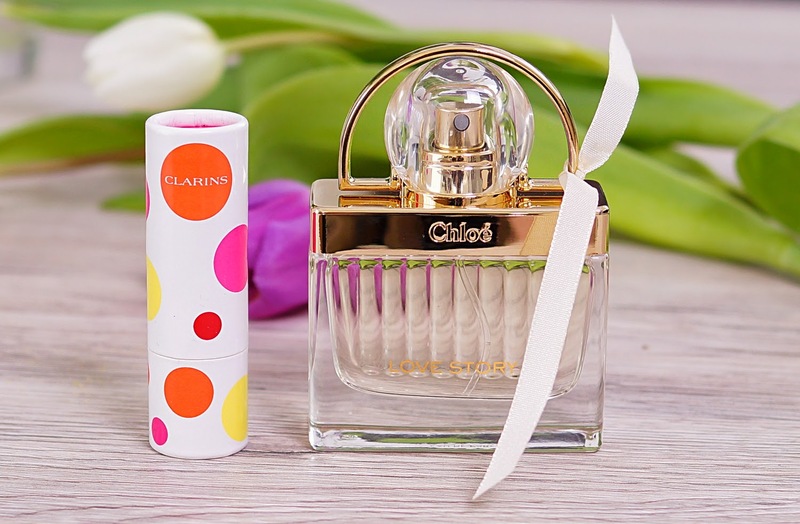 The limited Joli Baume Eclat du Jour by Clarins is my new daily companion in my handbag. The packaging looks so cheerful, I love the fruity smell and the moisturizing is not phenomenal but really okay. With pH reactive pigments the lip balm tints the lips into a soft, fresh pink. Another spring companion is Love Story by Chloé. I got a few spring fragrances in the last weeks and it’s hard to decide which one I like best but this one is in the vanguard. I love the package, the idea and the smell itself. Blithe neroli, orange blossom and stephanotis come upon a warm base of cedar and musk. It`s a delicate, feminine scent of white flowers, just perfect for spring. Especially in spring and summer I prefer sheer lipsticks with a shiny finish and glosses. The new Tint in Oil by YSL keeps what they promise. Texture and finish are something between oil and gloss and the color tints the lips slightly. The feeling is very lightweight, non-sticky and pleasant. The color of my choice isCherry my Cherié but it won’t be my last one. Cherry my Cheriè is one of the most intense colors of the range, a lush pink. A perfect all-rounder is the YSL Kiss & Blush in Pink Hedonist. It’s a hybrid product for lips and cheeks. For the upper look I used it as blush, lipstick and also as eyeshadow. 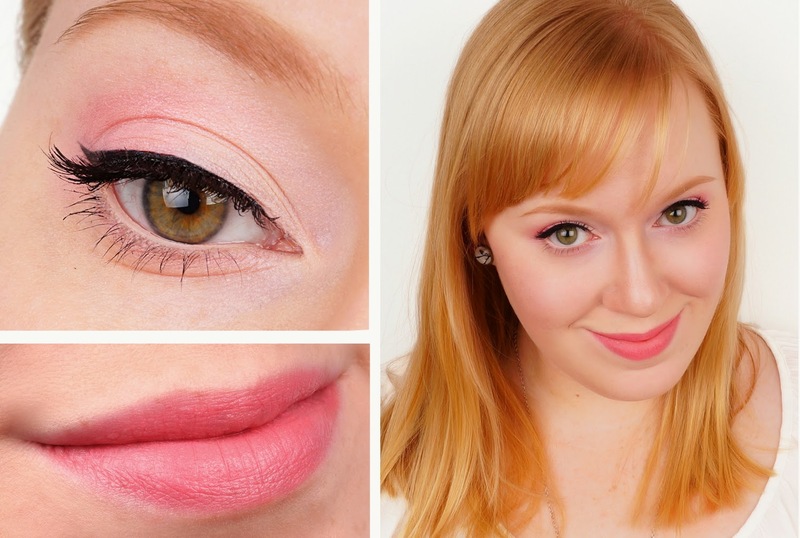 I think, it’s a lovely, soft pastel look for lighter complexions. In order that the eyes don’t look sick with this warm pinky shade I work with a precise, black eyeliner and a light, neutral eyeshadow (MAC Vapour). For the eyebrows I used MAC Omega by the way. Thank you for reading! I would love to see you on my blog. You can also find me on Facebook, twitter, Instagram and Google+. I wish you a great and sunny spring! Great post!! You look stunning and I loved toget to know you, this is a great opportunity to meet new bloggers with similar tastes! You take lovely photos too!! I'll head on over to your blog now! Beautiful products... and some of them - as plain as they may seem at first - are the ones you always reach for... My Omega is nearly done, too... I've been sneaking around the YSL Kiss & Blush... couldn't decide which color and never got one... Maybe I should take another look. Nice to see you here, too! It's been such a lovely idea by Sara. I am curious about every article. Tank you! I'm looking forward to your favorites! You have to take a closer look to the YSL Kiss & Blush, they are great! Hi Melanie, that OPI polish is beautiful!!! I have pretty much written OPI off for a long time now, and I'm so surprised to see something so lovely from there, definitely going to check it out asap! Such a pretty look! and I love all the lippies you chose for spring! Your hair colour is really beautiful, is it natural? After seeing it everywhere now and everyone who's loving it, I really feel like I need to get that YSL Kiss and Blush. Thank you! I used only two natural shades by MAC for this look, I think they are very changeable if you don't like MAC :-) The main product is the YSL Kiss & Blush - I love it! Thank you, Miss Y., yes, it's natural :-) And I love the Kiss & Blush!